We’re highlighting the must-have coupes to buy now, before prices rise! From the solid perfection of a BMW 3-Series to the quirky 5-cylinder Volvo C70, we choose a bunch of svelte coupes that’ll never ever be more affordable than they are now. 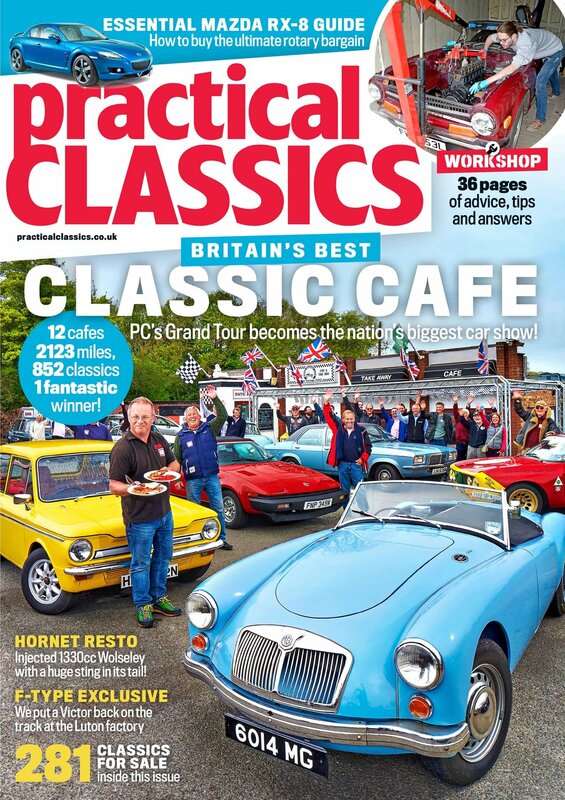 Elsewhere in the new issue of Practical Classics, the team is challenged to find a host of sub-£1000 classics for our annual winter challenge. What did they find? There’s a celebration of 60 years of the M1 motorway, an amazing Datsun 240Z restoration and we find out what the team has been up to with our writers showcasing all the work they’ve been doing on their own classic cars. Plus: Page upon page of technical advice on how to buy, restore and maintain your car. No other magazine does what we do! What do you do if you want a car that has classic credentials, practical space, daily-driver useability, superb comfort and real style – all for a budget price? You look back 20 years and take your pick that’s what. Welcome to the last generation of large coupes that had real style… Buy the magazine to read more! The deal is a familiar one to regular readers. The team has got to buy a classic and get it on the road ready for a massive winter test. It’s got to be over 25 years old, cost less than a grand to get on the road and be ready to go by a specific date… But what did they find? Grab a copy of the mag to find out! From the challenges of a Jensen Interceptor to a Citroen CX stripdown, find out what has been going on at the Practical Classics workshop, where we get deep down and dirty with all our projects to bring you essential maintenance tips and advice to enhance your classic.